Teacher Summer – Spedtacular Me! Watch Them Grow with Growth Bins! Hello from “Teacher Summer”. . . where we spend all of our days drinking margaritas and lounging on the beach, while we laugh at our friends that are still working. And we never spend our days in teacher trainings or anxiously trying to plan how to move classrooms in two days before the students come, we never start back to school planning in the middle of July right? No, no that would mean we work during the summer. and that could never happen. . . right? Now Welcome to Real Teacher Summer where at least part of our days are spent thinking about, planing and anxiously awaiting next years students, and if you are like me, you are trying to get some of your back to school planning done on those amazing free days you get. Enter my new multi-syllabic word flash cards! She was using these tubs as she called them for an elementary classroom, actually a self contained classroom but I thought this could help with some of my anxiety and allow me to hit multiple students in multiple grade levels during overlapping times and still be working directly on their goals. So this summer I have been building these boxes. I am going through each students IEP goals and finding different activities to hit these goals and still keep students organized. Within each student’s box will be a classroom timer like these ones. 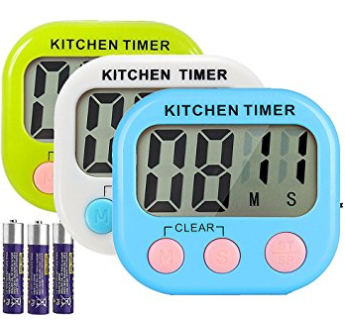 Which I guess are really kitchen timers I got on amazon for 14.00 for a pack of three. Many students will be working independently on fluency or in partner pairs with another student or myself of an aid. They will be using these timers for self timed, math work, fluency work, or just to set a timer for how long their independent work in their My Growth Bins. For some students the time .set on these timers will grow throughout the year so they can increase their independent work time, for some students it will simply be a way to keep them on track. The actual work inside each bin will vary depending on specific goals for each student, many of my students in the middle grades are working on fluently reading multisyllabic words, and so I created easy to copy and use flash cards, for these students. 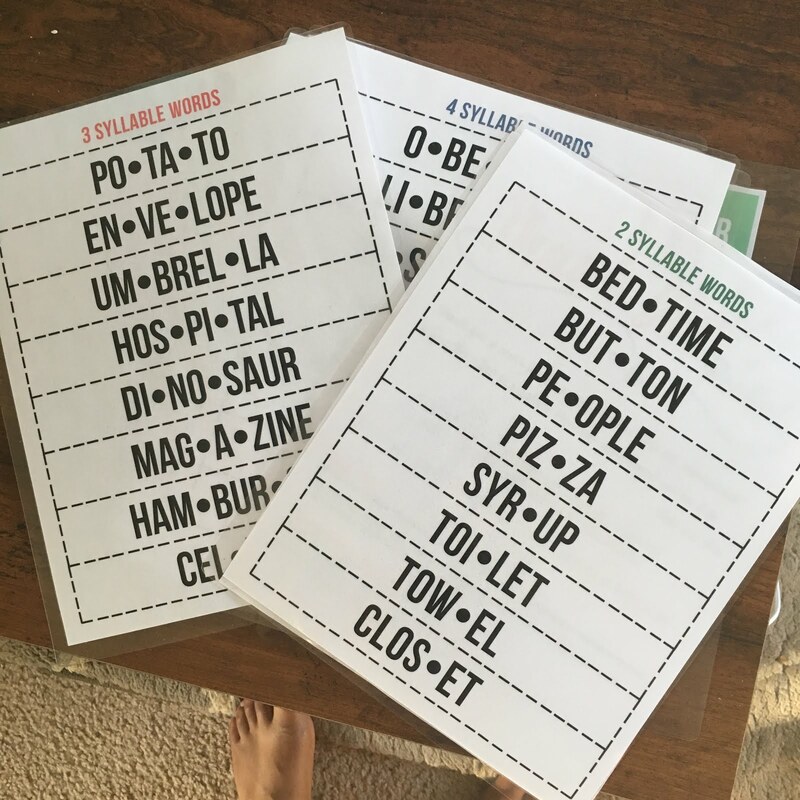 These cards contain 2, 3 and 4 syllable words and are scaffolded to included words broken down into syllable and ones that are not in order to help reinforce the strategies students learn to read these words fluently, and then allow them to show growth. Here is an example of the flash cards broken down into syllables. I have these hole punched and laminated for easy reuse from student to student. The students other work varies from math practice, to social skills, and WH questions, and reading fluency and comprehension work. All work that they are able to complete independently for the first 10 minutes or last 10 minutes of our group. Each student will have a bin that is color coded, without their name on it, this helps some of my older students especially feel less self conscious about the work they are doing. They are able to focus on their own work without being worried about having their name and therefore grade or age attached. I use the color coded system in all aspects of my classroom from data binders too graded work and displayed work for multiple reasons but this is a big one. Future blog posts on the color coded life to come! And follow me on Instagram here @my_spedtacular_special_heart_ for more spedtacular ideas! I hope you find something helpful to use with your students, whether finding a way to differentiate in an general education classroom, a resource room, or a self contained classroom all students need something a little speducatular!